On Saturday, October 17, the Chicago area Orthodox organization SYNERGY is hosting a seminar entitled, “The Future of Orthodoxy in America.” Speakers include the Rev. Dr. Stanley Harakas, Professor Emeritus and renowned author, and the Rev. Dn. Nicholas Belcher, Dean of Students at Holy Cross Seminary. SYNERGY consists of lay and clergy members from Chicago-area parishes who seek to make Orthodoxy known to the broader community. Working together with its parent organization, the Orthodox Christian Clergy Association of Greater Chicago, SYNERGY operates with the blessings of the Chicago hierarchs. The conference is going to be held at St. George Antiochian Orthodox Church, 1220 S. 60th Court in Cicero. Prior to October 9, 2009, individuals may register for $35.00, and married couples for $50.00; afterwards, the fee is $40.00. High school and college students are discounted at $20.00. Registration includes coffee service and lunch, and attendees may register at the door. For more information go to: chicagosynergy.org/symposium.html or call: (847) 647-8889 or (630) 230-0079. SYOSSET, NY [OCA-Youth] -- Jonathan Bush of Saint Anne Mission, Knoxville, TN, a student at the University of Tennessee, and Andrew Boyd, a first year student at Saint Vladimir's Seminary, Crestwood, NY and a member of Saint Alexis of Wilkes-Barre Church, Clinton, CT, were the driving force behind a revamped ministry of the Orthodox Christian Fellowship -- the OCF podcast. Featuring music, interviews, and other recorded presentations, the OCF podcast helps keep Orthodox Christian students connected to the Church. The first episode of the podcast discusses the transition to college life and features clips of an interview with His Beatitude, Metropolitan Jonah and an excerpt from a sermon by the Rev. Stephen Freeman, rector of Saint Anne's. The OCF podcast is a free ministry of the Orthodox Christian Fellowship, the official campus ministry of the Standing conference of Canonical Orthodox Bishops in the Americas [SCOBA]. For more information please contact Jonathan Bush at ocfpodcaster@gmail.com or Protodeacon Joseph Matusiak at jmatusiak@oca.org. Do you notice that many times when looking for the causes of unhappiness, people frequently believe it is other individuals or external events that make them distressed? The idea is carried around that if these “outside forces,” as psychologist Albert Ellis (1962) calls them, were different, all their problems would go away and they would not be so miserable. Accompanying this outlook is the idea that, because it is just these nefarious persons or events over which they have no control which produce their wretchedness, they cannot help but be upset. Instead of working at the problem they are capable of solving, or devolving meaning in what they are able to accomplish, they feel they are justified in wallowing in their misery. Obviously there are events that are realistically hurtful. Someone in the military who is permanently injured in battle, or a civilian who suffers lasting physical debilitation in an accident certainly are two common examples. In such cases there are two options, accept, but not condone, the untoward injury-causing event move on coping with the situation and creating a meaningful life in the face of the injury, or do as many do with non-realistic events, wallow in misery. Ft.Lauderdale, Fl.- The Orthodox Christian Network (The OCN) is pleased to announce a new service to Orthodox parishes and ministries world wide—Customized Online Radio Stations! As the over the air radio market begins to shrink and the online radio market grows, OCN has strategically positioned itself to take advantage of the growing audience accessing online radio programming while maintaining a strong land base presence as well. Since recently acquiring new online radio server software, we can now offer completely customized 24/7 online radio stations in a cost effective and efficient way allowing parishes to stay connected to their parishioners more so than ever before. With offerings ranging from personalized radio players to managed custom radio stations, OCN's online radio stations allow parishes of all sizes to provide Orthodox Christian programming aimed to their parish. The Branded National Radio Solution creates a custom radio station on OCN and the parish website utilizing the already existing content of the Ark or Rudder channels. Self managed and OCN managed stations are completely customizable. With the self managed option, parishes and ministries can upload their own sermons, liners, announcements and pod casts to their customized radio station. With an OCN managed station, we provide weekly updates to your station and provide the recording equipment so that your sermons, commercials, announcements and other programs can be seamlessly integrated with the OCN music of your choice. Baltimore, Md. (IOCC) – International Orthodox Christian Charities (IOCC) is responding to a string of disasters that are affecting millions of people in the Asia Pacific region and have already taken hundreds of lives. Damaging floods and mudslides caused by Typhoon Ketsana struck the Philippines, Vietnam and Cambodia, causing hundreds of deaths and displacing thousands of families on September 26. Meanwhile, whole villages in Samoa have been devastated by a tsunami that was triggered by a massive 8.0 earthquake on September 29. A second earthquake measuring a magnitude 7.6 on the Indonesian island of Sumatra has killed hundreds and injured thousands, and caused significant damage. Two other typhoons appear to be moving towards the Philippines later this week and significant aftershocks are being experienced in Indonesia. IOCC has mobilized its disaster response team and is coordinating with our Orthodox and Ecumenical partners to monitor and respond to the emerging needs. You can help the victims of disasters around the world, like the Asia Pacific Disasters, by making a financial gift to the IOCC International Emergency Response Fund, which will provide immediate relief as well as long-term support through the provision of emergency aid, recovery assistance and other support to help those in need. To make a gift please visit www.iocc.org, call toll free at 1-877-803-IOCC (4622), or mail a check or money order payable to IOCC, P.O. Box 630225, Baltimore, Md. 21263-0225. This past weekend, a team of 20 youth participated in FOCUS North America’s YES Program (formerly known as OYO), serving our most needy neighbors in Kansas City. They arrived from parishes in Wichita, KS, Oklahoma City, OK, and Kansas City, eager to be used by God to meet the fundamental needs of His people. They did not expect, however, that they would receive much more from the experience than they would give. After three intense days, the youth gained a new perspective on the poor and homeless: they came expecting to serve them, but, instead, found their own lives forever changed by the encounter. His Eminence Metropolitan Philip led the participants in opening prayers. His Eminence welcomed everyone to the meeting and made introductions. He reviewed the history of the relationship between St. Vladimir Seminary and the Antiochian Archdiocese, with a focus on the very close and positive working relationship that has been built. His Eminence reviewed the sequence of events surrounding the recent redirection of two students (one from St. Vladimir, and one St. Tikhon) to Holy Cross. New York, NY— A Special Session of the Standing Conference of the Canonical Orthodox Bishops in the Americas (SCOBA) met on September 25, 2009, from 10:00 a.m. – 12:30 p.m., hosted by the Chairman of SCOBA, Archbishop Demetrios of America, at the headquarters of the Greek Orthodox Archdiocese of America in Manhattan. The session was attended by the following Members of SCOBA: Archbishop Demetrios, Chairman (Greek Orthodox Archdiocese), Metropolitan Philip, Vice-Chairman (Antiochian Orthodox Archdiocese), Metropolitan Christopher, Secretary (Serbian Orthodox Church), Archbishop Nicolae (Romanian Orthodox Archdiocese), Metropolitan Joseph (Bulgarian Orthodox Church), Metropolitan Jonah (Orthodox Church in America), Archbishop Antony (proxy, Ukrainian Orthodox Church), and Archpriest Alexander Abramov (Representation of the Moscow Patriarchate in the USA). Also present were the General Secretary and members of the SCOBA Study and Planning Commission representing the SCOBA member Churches. The entire discussion was focused on the documents related to the “Organization of Episcopal Assemblies” in the regions of the world that are outside the borders of the Autocephalous Churches. These Episcopal Assemblies have been authorized by the Fourth Pre-Conciliar Pan-Orthodox Conference which met at the Orthodox Center of Ecumenical Patriarchate in Chambésy, Switzerland from 6 – 13, June 2009. It was decided unanimously by the Hierarchs that the first such Episcopal Assembly shall be convened during Post-Pentecost Week of 2010, which will fall in the last week of May. The likely days of the Assembly will be May 26-27, 2010. There was also discussion as to the location of the Assembly, with a specific venue to be decided after investigation of locales and resources. In response to a popular wish for more information on the subject, it will be useful, I believe, to share my impressions of the recent Archdiocesan Convention. By way of organizing these reflections, I want to consider the varying expectations of those who attended the Convention. After all, those sundry expectations necessarily established the individual criteria for judging whether or not the Convention was a success. I begin with Metropolitan Philip, who has presided over several such conventions during his long service as our Archbishop. As a steady listener and reader of everything he has to say, I was able to identify only one personal expectation mentioned by the Metropolitan---to wit, that everything at the Convention be public and transparent. He several times spoke of “the light of the sun” to describe what he wanted to prevail at that gathering. By that criterion, Metropolitan Philip must be pleased by what transpired. He not only insisted on total openness of information at the Convention; he also took direct and effective steps to insure that such a policy would prevail. Chief among these was his provision that each part of the Convention would be broadcast over Ancient Faith Radio. Metropolitan Philip should receive proper recognition and credit on this point, because the provision for radio coverage required a measure of resolve on his part. I violate no confidences by mentioning there were influential individuals at the Convention who endeavored to undermine the Metropolitan’s policy. I am very glad he resisted those efforts, because scores of Antiochian Christians all over the country are already listening to those radio recordings and drawing their own conclusions about the Convention. Indeed, I encourage everyone to do so. The Life of St. Brigid was recently published by Conciliar Press. To order your copy, click here. 1. Tell us about what sparked your interest in St. Brigid, and inspired you to write the book. Working with illustrator and seminarian Zachary Lynch on The Life of Saint Patrick: Enlightener of the Irish, I learned about Saint Brigid. After diving into research on Brigid, I absolutely fell in love with her. Her story is not well known outside of Europe and I felt that more folks should be inspired by the life she lived. 2. St. Brigid inspires us all, but what can today’s young girls especially learn from St Brigid’s life? Saint Brigid is just the kind of example we should be putting before our children, and their children. She was better than a superhero--she was the epitome of goodness and giving. In a world where we are taught to work hard--so that we might have more, we find Saint Brigid showing us how we can gain all we need by giving some of what we have away. She loved her neighbors with such ferocity that she, in the wake of Saint Patrick, helped evangelize an entire land for Christ. I wrote The Life of Saint Brigid: Abbess of Kildare to inspire others to walk in her footsteps—I wrote it that I might be inspired myself, and reach out more—every day, even if that simply means baking an extra loaf of bread-one for me, and one for the man next door. 3. Tell us about your involvement locally in your parish and community in a group inspired by the saint. To hear Mother Victoria of the St. Barbara’s Monastery tell it, growing up in the Ukranian Orthodox Church was a rich and memorable experience at special times of year. On Christmas Eve, for instance, she remembers looking for the first star in the sky, which would signal the start of the Nativity meal. Before eating, she and her family always fed the animals first, in honor of their role on the night of Christ’s birth. Then the family would go to the table, where the meal consisted of twelve dishes ranging from appetizers to desserts, all honoring the Twelve Apostles. Under the tablecloth, her mother would place straw or hay as a reminder of the manger, and they would interrupt their meal from time to time to sing a carol. We are all familiar with the Holy Tradition, of course, which is composed of our liturgies, the Scripture, the Ecumenical Councils, the writings of the Fathers and Mothers of the Church, the body of doctrines we subscribe to, and the teachings about fasting and feasts. These are traditions with a capital “T.” Yet also woven into the tapestry of our vibrant Faith, are numerous small “t” traditions practiced by faithful Orthodox down through the centuries. Layer upon layer, these have been added, differing from culture to culture and evolving over time. We bless fruit at Transfiguration, decorate with flowers in our homes and churches on special days, bake and eat breads which hide pennies, cross ourselves before leaving our homes or going to bed, bake prosphera according to certain prayers and instructions, dispose of icons using certain guidelines. Why do we do these things? What difference does it make whether our dyed eggs on Pascha are red or blue? What meaning is there to eating a special recipe in remembrance of our departed loved ones? And why should we teach our children what these things mean? In our family, there is a fine line between two stages of toddler-hood - the generally-easy and the almost-unbearable. Over eight years and four children, I have come to know exactly where that line is: it is found in the family mini-van, and it marks the difference between a peaceful road trip and a road trip that, with every passing mile, grows increasingly tense, suffocating, and loud. The glorious space on this side of the threshold looks exactly like this: "Daddy, when will we get there?" "Sweetheart, we'll get there as soon as we arrive." Time passes. "Daddy, when will we arrive?" "Sweetheart, we'll arrive as soon as we get there." Silence. That circular conversation has been loaded with benefit. For the child, her curiosity is humbled before the dark mountain of parental knowledge. Since daddy "knoweth" all things she is satisfied with my answers to her questions, and can once again sink agreeably into the cocoon of her car seat. For the parent, it buys me precious time and sanity on long car rides, and I can more easily put the miles behind us. Sometimes, however, when knowledge is gained innocence is lost...or naiveté, at least. Eventually we cross over into that side of the threshold, where the circular conversation no longer works. The children grow wise to the time-space continuum. They no longer live wholly in the present moment, but get a feel for past and future. They develop expectations about them, especially about the future. "Arriving" begins to matter more than simply "being." On March 10, 2008, His Grace Bishop Joseph addressed the faculty and seminarians at St. Vladimir's Orthodox Theological Seminary in Yonkers, New York. Over the ages, the practices of the Church have evolved in the ever-more difficult quest to save mankind from spiritual death. While our Lord, Jesus Christ, through His Resurrection, has saved us from the consequences of humanity's fall, i.e., death and tyranny of the evil one, the devil's temptations have remained relentless. Although religion has played a major factor in shaping the identity of the American Culture, the secularization of the society is inflicting evil on the American mindset. The attempts of de-Christianizing the American culture are ruthless. These malicious attacks are driving the new generation to forsake their centuries-old culture for the sake of self-gratification and alleged compensations. Whereas the American population is still manifesting religious observances, the genuine characters of these observances are not for the most part worthy of acceptance. Many Churches are undergoing the worst predicament of Faith and Morals in their History. The fragmentation of American Churches into conflicting bodies has uprooted the Christian ethos from the Churches. For this reason, many individuals and groups are changing their religions and their denominations, inasmuch as they are changing their jobs, their habitation, and their spouses. Many adults leave their cradle faith for another one. Becoming a highly competitive marketplace, religion is a buyer's market where many groups dilute their traditional beliefs in order to compete. On February 25, 2007, His Grace Bishop Joseph gave the Sunday of Orthodoxy Address in Worcester, MA. On this first Sunday of the Holy Fast, we commemorate our Holy Fathers who struggled, suffered and, in some cases, perished for the sake of the Holy Icons. 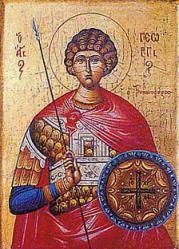 Since 843 AD, the Church has celebrated this day in honor of those martyrs and confessors whose faithfulness to the theology of icons was upheld at the Seventh Ecumenical Council, and the holy Empress Theodora, who ended decades of persecuting the Church, and restored the Icons. The icon is a type and an image of spiritual reality which constitutes the highest truth. It is a testimony of what exists, showing in itself what it depicts. The icon is a depiction of real people transformed by real grace. The icon bears testimony to the existence of both holy people and the Living God who has true relationships with these people. Icons express the hope for us all, that God has not abandoned mankind. In the icon, we see that God is not some abstract concept. He is real because we can see His marvelous works in the faces of the saints depicted in iconography. Icons bring all of the truth of God and the saints into us as we gaze upon them, kiss them, and venerate them.